I’m Scott Tandy and I want to show you the real heroes of Newydd’s Digital Inclusion programme: the digital champions. The rise in tech is changing lives. It’s changing how you apply for your dream job and how you report repairs through My Account (cheeky plug). Our Digital Champion Programme plays an vital role in stopping the most digitally inactive being left behind. The programme has been running for over three years, with 20 volunteers pitching in. We’ve helped over 500 people from the Vale of Glamorgan and Rhondda Cynon Taf be confident in using tech on a daily basis. As impressive as these numbers are, they are just that: numbers. It’s hard to appreciate the true impact of something when looking at numbers and data alone. What you don’t see in the figures are the emotional stories behind them. We helped one tenant contact her sister through Skype, whom she hadn’t seen or spoken to for many years. Another story is that of a gentleman who we guided through the steps of downloading a messaging app. This had let his grandson, who was travelling through Australia, send him photos of his adventure. There are 498 other stories just like these hidden among the stats, figures, and data. Today, the programme continues to go from strength to strength. I’ve partnered with other organisations and volunteer bodies to provide support to the digital champions. Digital Communities Wales, for example, have given the champions access to free training courses, resources, and webinars. 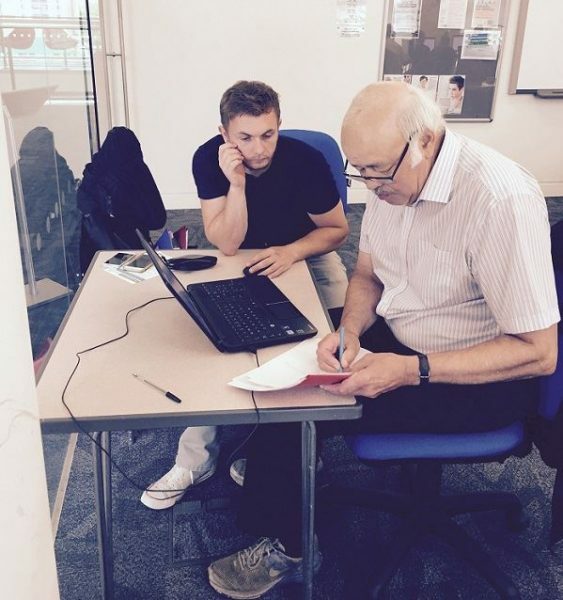 To meet a digital champion and benefit from their support, head to a Digital Drop-in at your local library or community hub. For more information about these, please click here.